The plot of Napoleon centers mostly on two aspects – Napoleon Bonaparte’s rise from a common man to a leading war general (and leader) of France. Secondly, it focuses on the romantic relationship of Napoleon and his first wife, Joséphine de Beauharnais. In the musical, Josephine sings most of the memorable numbers including “The Friend You Were to Me,” “Only in Fantasy” and “On That First Night” (which is a duet with Napoleon). 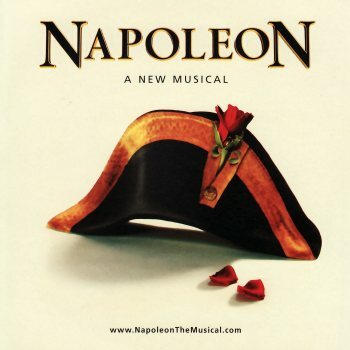 Napoleon, The Musical is a musical by Canadians Andrew Sabiston and Timothy Williams (composer). It premiered at the Elgin Theatre in Toronto on 23 March 1994 with Jérôme Pradon in the title role and Aline Mowat as leading lady Josephine. Directed by John Wood and orchestrated by David Cullen, it was the largest ever Canadian musical, with a budget of five million dollars. It was nominated for a Dora Award for Best Musical. The musical was later produced at the Shaftesbury Theatre in London with previews from 30 September 2000 and officially opened on 13 October 2000. Napoleon ran for six months. The show closed on 3 February, just two months after the booking period was extended to 28 April 2001. The show celebrated its 15th anniversary in 2009 with a brand new concert version in Barrie, Ontario. It was directed by Richard Ouzounian. The concert version starred Canada’s own Adam Brazier (previously seen on Broadway in Andrew Lloyd Webber’s The Woman in White and Blythe Wilson. To mark the anniversary the original 1994 cast album with Jérôme Pradon and Aline Mowat was released by Stage Door Records (UK), with 15 tracks. The original release was 18 tracks.